Style and Comfort - The Ultimate Low Down Spring!! 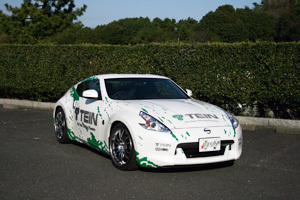 HIGH.TECH superior quality low down springs lower the ride height with an average of 20 to 30 mm, while boasting a comfortable ride in ALL seats of the vehicle. They are unrivalled by any other brand! 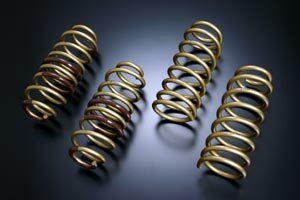 Designed for optimal ride quality when paired with the vehicle's original shock absorbers, HIGH.TECH springs come with the perfect spring rate for your vehicle. They have been fine-tuned until performance test drives were conclusive down to the ride quality in the back seats. Measuring devices such as G-force and stroke sensors were used to achieve ride comfort in every aspect. Made from advanced material, HIGH.TECH springs are 10% lighter and offer an improved stroke. Their lower unsprung weight improves not only the absorption of bumps and potholes, but also handling and driving stability. The springs are made of a strong SAE9254 steel and Vanadium compound (minimum tensile strength 200 kgf/mm2), which does not sag and boasts excellent durability. HIGH.TECH maintains the perfect ride height, long term. In addition, HIGH.TECH is engineered to eliminate coil-to-coil clanging and sound from mounting parts. Note: In some vehicle models, the bump rubber must be trimmed for optimal ride comfort.